Okay, so you're probably not going to buy THIS house. alloween is a time when many like to get spooked with ghost stories. Many of those stories center around haunted houses, so with that, let's discuss buying a home in Oregon with a "history." Oregon real estate law does not require seller disclosure on deaths—whether natural or violent, brutal crimes or other things that may have occurred in a listed home. The typical haunted house candidate would be a home where somebody died with reports of people seeing ghosts, apparitions, strange occurrences, noises and the like. 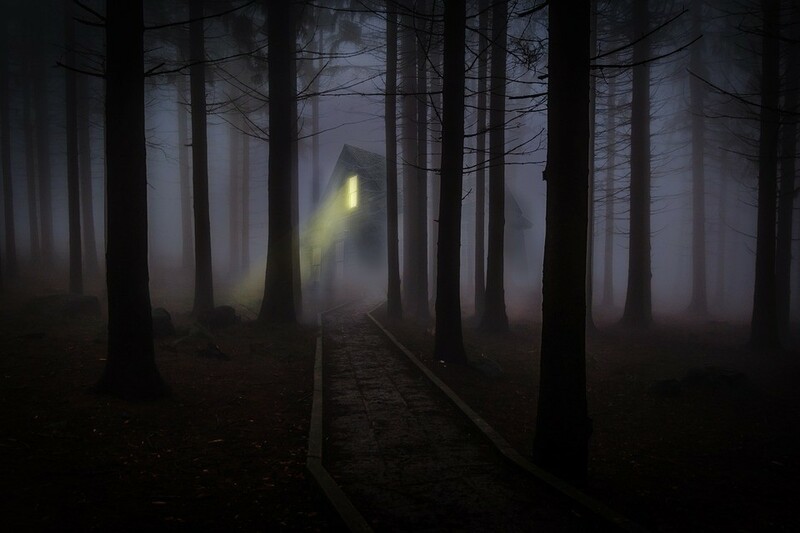 To many people, a creepy history is a concern and would make a difference in their buying decision—so there are some ways to research your future home site. The most obvious is to perform an online search of the address of the home you wish to rent or purchase. Typically, if there has been a crime or violent incident, it will have been reported by some media outlet. Another useful website is www.diedinhouse.com. Trying to meet your prospective neighbors is always a good idea; they can be a wealth of information about the house and history and neighborhood issues as well as amenities. In all fairness, an old home can be perceived as haunted when the issues are quite innocent, like cold drafts due to poor insulation or pests crawling in the walls and attic. Unseen raccoons, mice or rats could be the unseen ghost or a former resident that is moving things and making creaky and scratchy noises. But in the end, if something does not feel right after researching, it's probably best to trust your gut and look for a different home.